The delegation also met important officials from China International Travel Service (CITS) including its General Manager, Mr. Ke Hai Shui where matters relating to tourism development were discussed. It was noted that the excellent air connectivity between the province and Colombo was an added boon in promoting tourism in the region. 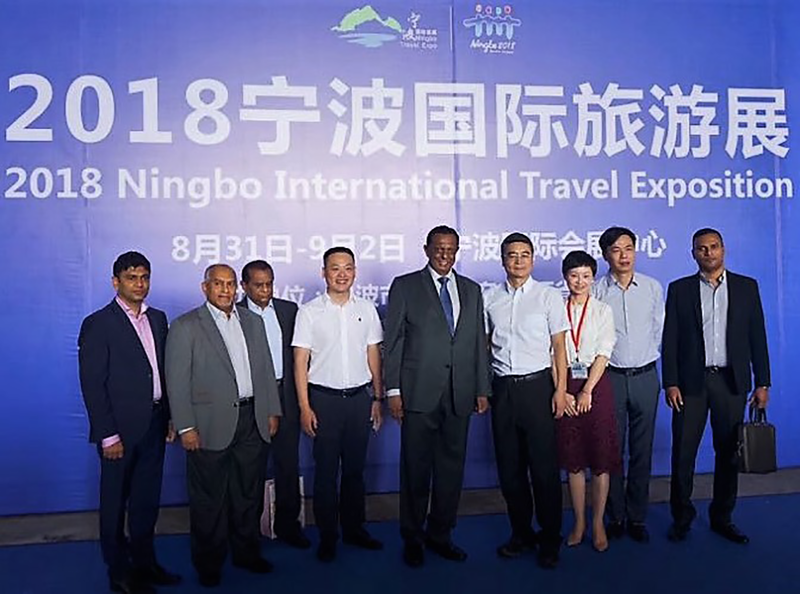 Minister Amaratunga who spoke at length on Sri Lanka’s authenticity, diversity and compactness as a destination took the opportunity to invite all leading travel companies in Ningbo to visit Sri Lanka on a familiarization tour and experience what Sri Lanka has to offer.